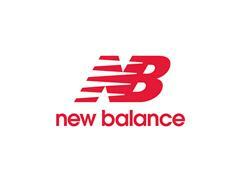 ~~BOSTON, September 2015 – For fall 2016, New Balance will once again offer, NB ICE, a cooling technology designed to help keep you cool and dry as you heat up during a workout. With updated styling and design details, NB ICE helps athletes make the most out of a warm weather workout. The NB ICE technology quickly wicks away moisture to help runners stay cool and dry during a workout. (MSRP: $40.00), Singlet for men only (MSRP: $40.00) and the Tank for women (MSRP: $40.00).